This is the proposal for investment for Ninveah Enterprises corporation, titled Project Vulcan Phase IV. The results of the previous investment can be read here. The primary goal of this investment is to raise the ISK to purchase an Azbel Engineering Complex BPO and build those structures from it for sale on the open market. The secondary goal is to build Astrahus Citadels and capital ships for sale on the open market. My manufacturing Corporation, Ninveah Enterprises, will create and issue 4000 shares, 2000 which will be for sale to the public, 2000 owned by me. The 2000 shares for sale to the public will be sold at a price of 15,000,000 ISK/unit which when all sold will represent 30,000,000,000 (30 billion) ISK investment. The 2000 shares owned by me represent the current corporate holdings of blueprint originals, blueprint copies, current stocks of materials, and liquid ISK estimated at over 50 billion ISK. Shares will receive a dividend payout approximately every 6 months (in early May not later than May 30 and early Nov not later than Nov 30) after an inventory audit is performed to calculate the current net worth of the corporation and the value is compared to the previous net worth. If the net worth has gone down, no dividend will be paid out. The first dividend payout is scheduled for May 2017. The corporation will buy back shares at the original investment price (i.e. 15 million ISK/unit) starting one year after the investment begins (i.e. Nov 1, 2017), with the caveat that I reserve up to two weeks to secure the capital or find new investor to do so. You may sell your shares at any time to any one at any agreed upon price, and the new owner has the same share buyback rights as the original investor. The ISK secured from the public offering will be used to purchase an Azbel BPO which will then be used to build Azbel structures and sold on the market. 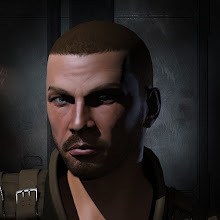 Secondary production of Astrahus citadels and capitals will follow as ISK flow allows to purchase the necessary raw materials. All structure production will be done in high sec in NPC stations at this time, but this may change in the future. In event of a war declaration, all measures will be used to secure corporate assets. Corporate assets are the blueprints, raw materials, produced materials, and produced final products. The characters I use and the ships they fly are owned privately by me and will not be reimbursed from corporate funds in event of their loss. Conversely, while moving assets for the corporation I am not liable to the corporation for any losses endured in transport. Any fuel costs for jump freighter transport will be paid for by the corporation. I will not be compensated for time cost of piloting the transports. If at some time in the future I decide that a structure (including but not limited to POS, Citadel, Raistaru) is beneficial to the corporation's operation, the purchase, fitting, and fueling of the structure will be assumed by the corporation funds. There are no guarantees on payouts from this investment. The investors of Phase III in two years made over 100% return on their initial 5 million ISK/unit investment, 200% if you include the buy back. But the Phase IV investment is larger spread over more shares so similar returns are unlikely. I do estimate a profit but nailing down the exact amount for every 6 month period depends on so many uncertain and unknown factors that I hesitate to give a number. I'm hoping my past performance will convince investors that this is a good place for their ISK. I realize that this is far from the real world with the legal options available to ensure your investment in the long term. I'm hoping that 10 years in the public eye of trustworthiness and honesty will help to put some potential investor's nerves at ease. All I can say that if I was going to ruin my reputation and scam all the investors of their ISK, I would not be doing it for a measly 30 billion ISK. If the share offering is unable to secure the capital required to purchase an Azbel BPO, all investment ISK will be used to run the citadel and capital production lines, as well invest in a Raitaru BPO if possible. In this scenario ROI may be lower than hoped but we will still see positive numbers for dividends in most outcomes. The sale of shares begins on November 1st (EVE TIME). 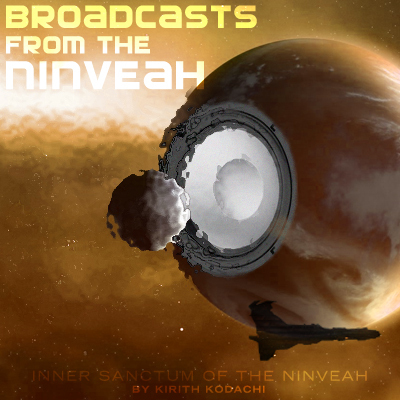 To purchase shares send the ISK to the character Korannon of Ninveah Enterprises corporation (zkillboard link for accuracy) with reason "Shares". ISK sent will be processed within 24 hours. Please make sure its a multiple of 15,000,000 ISK, but if you fail at math I will return any unused amount of ISK to you. As I process the ISK I will send the character that sent the ISK the number of shares purchased. Shares are sold on a first come, first served basis, you may not reserve shares. There is no minimum or maximum number of shares you can purchase with the exception that you cannot purchase more than are available. If there are less shares available than you have sent ISK for, I will send the available shares and refund the portion of unused ISK back to the purchaser. If you have any questions you can email me at kkodachi@gmail.com or post in the comments below. If I make any changes to this post, I will make note of it. As my understanding goes, you're going to not by making a huge profit by producing in an NPC station, especially if the index costs are high. What kind of analysis have you done on that? "Conversely, while moving assets for the corporation I am not liable to the corporation for any losses endured in transport." I'm worried that you'd sustain significant loss from ganking, especially since you have an IPO for your idea. Have you considered limiting your liability via RFF or some other collateralised freight hauling system? Is it possible to pursue a investment via PLEX directly, instead of via ISK? Also, do you have a projected initial dividend, or is this purchase presumptions unseen? Should we guess for a 5% return? 1) I'm basing my analysis on the real results of my last two years building capitals and citadels. Yes, the NPC costs eat into profits but careful selection of systems to work in and observing the costs as they fluctuate as well as the market prices for items to build and reacting appropriately have allowed me continue to make profit. 2) I used to use Red Frog but I found careful piloting of materials in my own frieghter saved considerable ISK and I have not had an incident in over 2 years of constant hauling. 3) PLEX investment: Yes, I will accept plex in place of ISK. 4) Projected initial dividend: I'm optimistic that I can reach 5% dividend for the initial return based on the performance of the Astrahus line when it started up. I'm hopeful I can exceed that by a significant margin but the markets are a fickle fiend. 6 PLEXes contracted to your alt :). 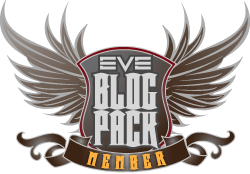 (Price reasoning in the eve-mail, but you could round it to 500 shares for easier book keeping :P). Rob, I read your email and agree with the price reasoning. I'm in, see email, thanks Kirith! Now there are less shares available for me. Oh, crap, the SCC's gonna get me!! !